Damp Proofing - How Long Before Plaster and Decoration? The BBA certificates for certified damp proofing products state that new wall plaster should not be applied for at least 14 days after the injection of a remedial damp proof course. Indeed in the damp proofing industry’s own Code of Practice it states that “walls will take at least 6 to 12 months to dry out. The presence of paints or renders will substantially extend the drying period”. 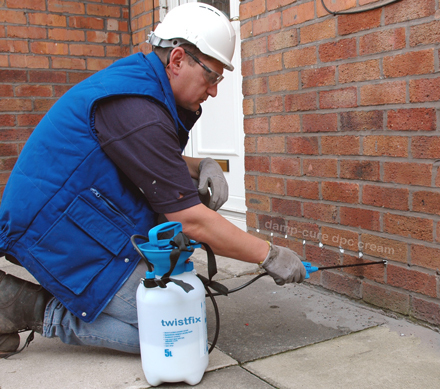 Twistfix now offers a Total Damp Treatment kit that enables you to plaster and complete internal finishing such as decorating immediately on completion of the treatment without having to wait for the damp walls to dry out. 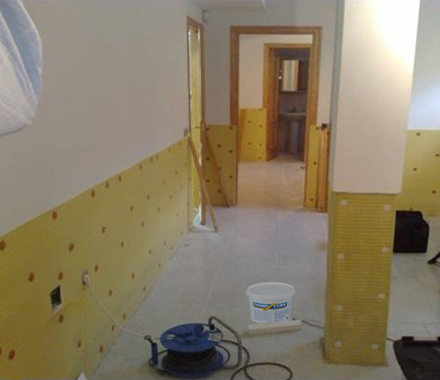 Once the BBA certified Damp-Cure cream has been injected then a 3mm air gap mesh membrane is fitted to the wall to provide a physical barrier that protects the plaster finish from all kinds of damp throughout the drying period. 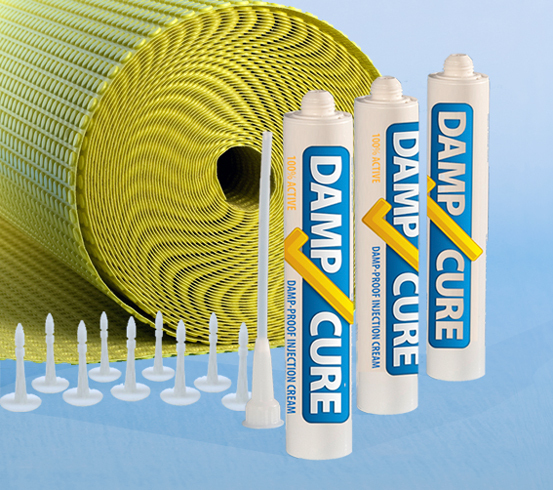 For the damp injection treatment drill 12mm holes to a depth of 90% of the wall thickness and at 100mm centres and inject the Damp-Cure cream. To fit the membrane drill 8mm holes at 250mm centres and use the plugs supplied in the kit. Plastering and decoration can now take place without waiting for the damp walls to dry out. The membrane has a mesh face which can be finished with normal plastering techniques. The base coat should be applied to fill the studs and cover the mesh. Once dried the second coat should be applied and then finished off with a 3mm skim. For dry lining use a bonding plaster to create dabs that cover 50% of the membrane surface to a minimum thickness of 8mm . For more information on when to re- plaster and decorate following damp proofing treatment please contact us on 0845 123 6006 or email sales@twistfix.co.uk.